Disruptive innovation that drives value and addresses clear unmet clinical needs in healthcare will continue to be one of the most relevant criteria in new company creation and investment, even in the uncertain regulatory and reimbursement frameworks, according to industry panelists at Acceleration2016, the Nutter Early Stage Life Sciences conference. The annual Acceleration conference, hosted by Nutter, convenes thought leaders and industry shapers from biotechnology, pharmaceuticals, medical devices, diagnostics, health IT, and digital health to discuss how scientific innovation and disruptive models affect the business of starting and growing early stage life science ventures. This year’s Acceleration conference focused on two key themes: exploring the challenges of truly disruptive companies in creating a strategic path to market in conditions of great technological, regulatory and business uncertainty, and discussing the rise of non-traditional funding sources to support a wide range of new venture creation and growth. Dr. Bernat Olle, CEO of Vedanta Biosciences, a company developing a class of drugs that work by modulating the human microbiome, with an initial emphasis in autoimmune and inflammatory diseases, delivered the keynote. Vedanta, which took in a combination of strategic and financial capital, was an excellent example of a cutting edge company striving to define a path in an uncertain environment. “In founding Vedanta, we looked for the convergence of new scientific insights, the emergence of new tools, specific and licensable IP, and lack of competition when identifying opportunities for new company formation,” he said. Expanding off the Vedanta story, the first panel continued the conversation and provided insights around working in a disruptive and uncertain environment. Notwithstanding the potential for healthcare policy changes under the new administration, the U.S. healthcare system will continue to move toward a more value-based model, and the market demands of better access and lower cost healthcare solutions will affect budget setting and investment decisions among healthcare buyers. In the healthcare services space, we are seeing a lot of disruption around business model innovation and the underlying payment model. Customer behavioral change is needed for adoption of new disruptive technologies so gaining customer engagement early on is critical. Medical technology companies, in particular, need to demonstrate a reimbursement pathway, clinical utility and economic value in order to attract investors. The business of healthcare is undergoing what one panelist described as “the democratization of care,” as a result of which investors are becoming interested in innovations that can impact huge patient populations that have traditionally had less access to care. The second Acceleration panel analyzed innovative approaches in capital raising including the rise of new entrants. 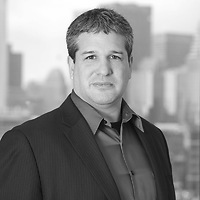 “Just as disruptive technologies generate opportunities for new company creation, innovative funding models have generated opportunities for a wider range of stakeholders to support venture creation, with the presence of angels, foundations, family offices, and strategic acquirers complementing the existing presence of venture capital,” added Jeremy Halpern, partner and the Director of Business Development for the Emerging Companies Group. We are seeing a consolidation in life science focused VCs, but there’s still a significant amount of money being raised. The larger VC funds are identifying their own areas where they want to invest and deploying “venture formation strategies,” starting companies themselves by sourcing science and leadership and assembling new entities. There will continue to be more “unholy alliances” where traditional VCs, private equity firms and strategic partners are coming together to maximize their syndicate and learn from each other. To stand out to VCs, companies need to communicate how their therapeutic, device or diagnostic is improving clinical outcomes and/or lowering the cost of healthcare. There is an appetite from VCs for solutions that change the care continuum and impact a whole suite of services with new efficiencies. Angel groups are increasingly sophisticated and are a very viable source of funding for some technologies. Given the smaller dollars usually deployed, they are a good fit for life science companies with clear paths and light capital requirements for product development. Financing biotechnology companies through angel funding is a challenge due to the funding requirements for clinical trials. Family offices and foundations often have additional flexibility in their investment thesis, as well as an impact approach that aligns well with the long term bets often being made in the life sciences. Acceleration is an annual invite-only educational and networking event hosted by Nutter that welcomes founders, executives, and board members of early stage life sciences companies; angel investors; venture capital investors; corporate venture investors; private foundation investors; business development executives; and university/research technology licensing officers. Nutter is a top-tier, Boston-based law firm that represents an international roster of innovative clients involved in a range of sophisticated technologies in the medical device and diagnostics, biotechnology, and pharmaceutical industries. Nutter also counsels renowned medical institutions and research universities, emerging growth companies, and angel and venture capital firms. The interdisciplinary life sciences team provides clients with a comprehensive service solution – from intellectual property and transactional advice to government enforcement, products liability and regulatory matters. Co-founded in 1879 by Louis D. Brandeis, who later became a renowned justice of the U.S. Supreme Court, Nutter is dedicated to helping companies prosper in today’s fast-paced business environment. For more information, please visit www.nutter.com and follow us on Twitter at @NutterLaw.